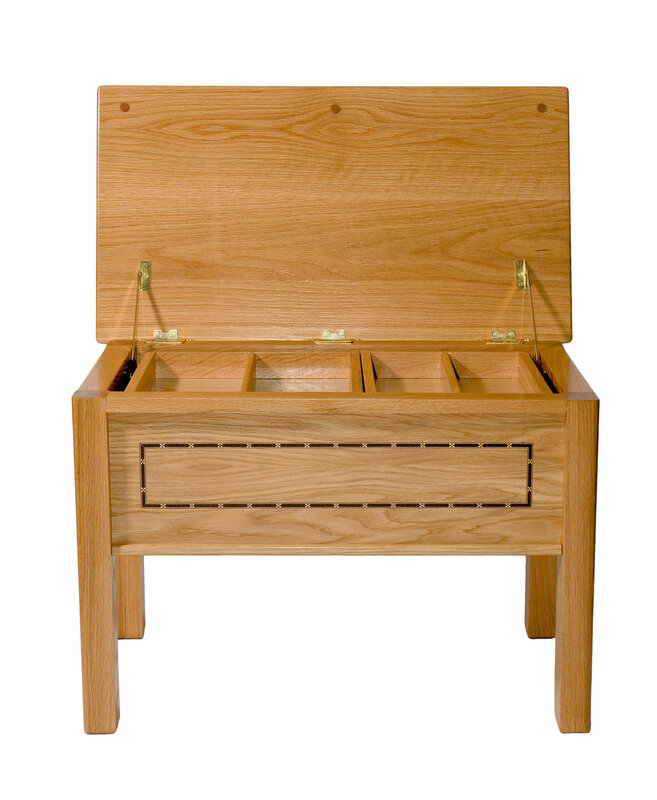 The Craft Table is available in a natural oak or walnut finish with a solid oak lid. This is a useful item of furniture that can be used to keep craft items in its useful storage area. The Craft Table can also be specified with hand-inlaid marquetry on the lid and all sides.